For mooching about town or canal towpath rides, you don't always want to be togged up head to toe in Lycra. 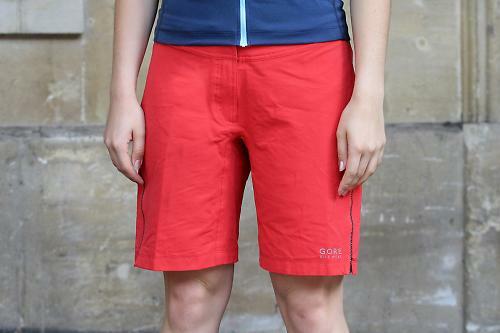 The Gore Bike Wear Element Lady Shorts fulfil the role of casual shorts for cruising about, but with plenty of technical details to set them apart from fashion shorts. You're paying a lot for those details though. The shorts are aimed at recreational and leisure cyclists first and foremost. Styled for both looks and comfort, they are made from a stretchy polyamide fabric that dries quickly and wicks moisture away from the skin. The design is such that you can choose whether to wear a padded liner or not – a gusseted crotch and soft edges to the seams mean a liner isn't crucial if not desirable. The rear of the waistband is elasticated for comfort, the fronts of the legs are taped to minimise friction, and there are two zipped rear pockets and reflective accents throughout. Sizing is decidedly on the small side, even though they're described as 'comfort fit', Gore's most generous shape. Those intending to use liner shorts underneath will probably need to go up a size, and find a shorter length liner such as Gore's own, as these are shorter in the leg than most baggy shorts. There is plenty of stretch in the fabric and the waistband is nicely elasticated at the back and broad and flat for comfort at the front. The waistband fastens with a press stud and Velcro combo, for added peace of mind. On the bike, these really do feel on the short side. There's a lot to be said for a pair of shorts that don't look like bike shorts yet still flex enough for riding to be comfortable, and for the shorts to not migrate at the back and give a bad case of cyclist's backside! These stay put and fit neatly at the waist. I tried them with and without liner shorts, depending on how far I was going, and there was no annoying chafing. 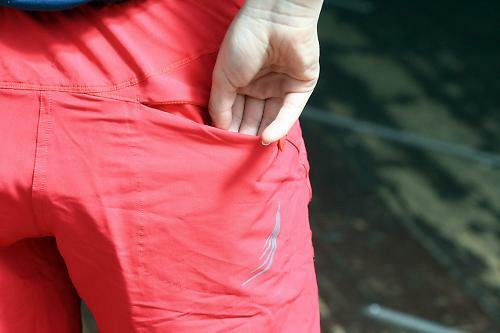 The pockets at the back aren't massively useful on the bike, since you're sitting on them most of the time, but having them here keeps the lines of the shorts clean and sleek, and in my opinion it's a fair trade-off. Well designed and nicely shaped though they are, it's hard to get away from the fact that they're essentially casual riding shorts that cost the same as a fairly high end pair of padded Lycra shorts. Choose to go with a liner as well and you're looking at over £100. Yes, they're stretchy, and yes, the waistband is comfortable and secure, but the lack of features that make them clean and stylish also means you're getting less for your money. Designed to be versatile looser fit shorts for recreational and leisure cycling use, with or without liner shorts. "These comfortable women's cycling shorts are light, stretchy and almost unnoticeable next to the skin. They can be worn both with and without additional tights underneath. With many beautiful details, they quickly become a favorite piece of gear." Very well made and using excellent quality fabrics and components. Comfortable and effective for recreational riding. Made from very high quality fabric and well made so should last years. Comfortable over short to mid-distances, particularly with the addition of an (optional) liner short. They're quite pricey for a pair of shorts only really suitable for recreational and leisure riding. They are a shade on the short side for technical mountain biking and the like, and probably too short for most tourists. They're just not versatile enough to warrant £74.99 in my opinion. Would you consider buying the product? Probably not. Couldn't justify the price. Well made and attractive shorts but just not versatile enough to justify such a high price.